The Matriarch 2 is built on the handle of the popular Endura4 design. It features full skeletonized stainless steel liners, providing an outstanding balance of strength and weight, while its injection-molded FRN handle boasts Bi-Directional Texturing for a superior grip. Screw-together construction and phosphor-bronze washers ensure maximum precision and smooth operation. The blade of the Matriarch 2 is hollow ground from VG-10 stainless steel and features the signature Reverse S edge profile of the classic Civilian. Its point is thicker than the Civilian for increased strength and strategically shaped to nest discreetly into the handle in the closed position. 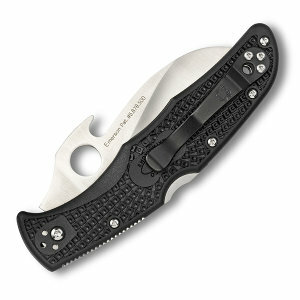 The fully serrated SpyderEdge provides maximum cutting power. 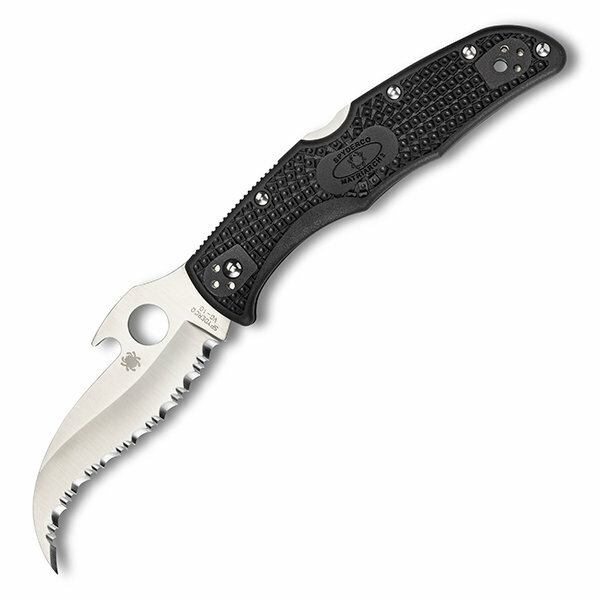 The trademark Spyderco Hole provides positive one-hand opening of the blade with either hand. The Matriarch 2 also offers unmatched carry options with the four-position hour glass pocket clip for left/right tip-up/down carry.